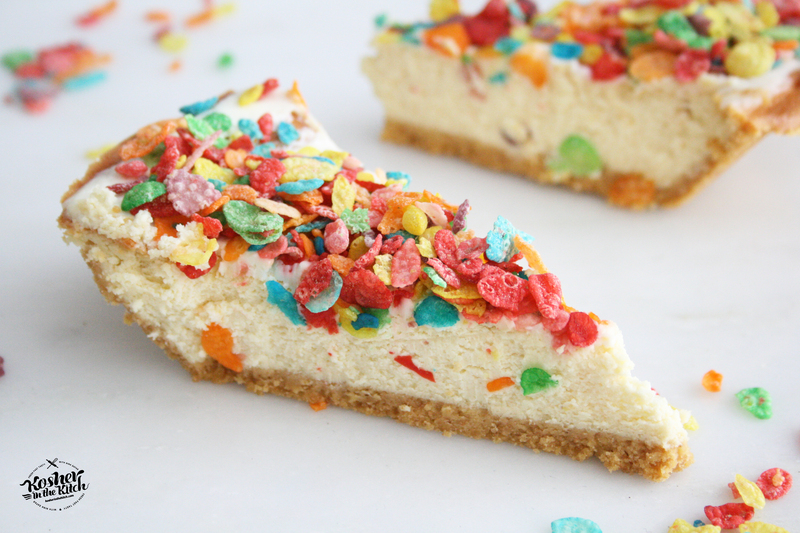 Fruity Pebbles Cheesecake - Kosher In The Kitch! Fruity Pebbles Cheesecake - Kosher In The Kitch! Blend the cream cheese, sour cream eggs, sugar, and vanilla together. Pour cheese mixture into crust. 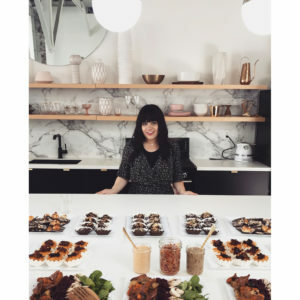 Bake on 350′ for an hour. Allow to cool off before placing sour cream topping on. 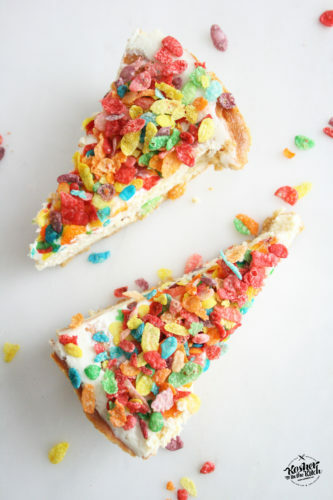 Refrigerate several hours or overnight then top with fruity pebbles before serving.